Portland band Grails have long been reliable purveyors of a darker brand of psychedelic rock music. Their sound reached a grimy pinnacle on the Important-released 'Black Tar Prophecies', but 'Deep Politics', their latest contribution to the Temporary Residence canon, finds them treading new ground and doing it with an air of pure inspiration. 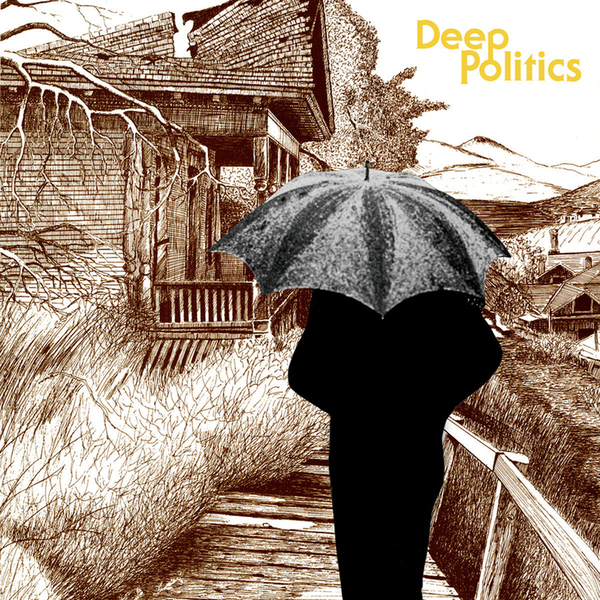 It's no secret that the band are fans of classic horror cinema and the imagery that kicks up, but where their previous albums have alluded to that, 'Deep Politics' makes it the primary focus. From the Hammer-esque artwork down to the initial distorted notes and Mellotron pads of opener 'Future Primitive' it is instantly obvious that the band are moving into the kind of places once trodden by Ennio Morricone, Fabio Frizzi, Piero Umiliani and Goblin. Saying that however, Grails are hardly re-framing their sound to align themselves with modern Giallo explorers Umberto or Zombi, rather they pull in far more of the inherent weirdness of the age, injecting a cultish folkiness (think Wicker Man) to their blackened compositions. The press release makes much of the bands move into sampling, and while the crude textures add a depth and atmosphere lacking in their previous work, it is the compositions that make most of the difference. Just listen to the Profondo Rosso-esque piano and drums (expert percussionist Emil Amos playing breaks future crate diggers will no doubt swoon over) of 'All The Colors of the Dark' - this is smart, involving music and invokes more than just the mere mood of the films it appears to be based on. There are synthesizers thrown into the mix too, but rather than make this a focus and jump on the fading bandwagon, the band wisely use them as simply a backdrop for their peculiar songs. Flutes, guitars, violins, bells, cello; all sorts of instruments are muddled into a veritable cauldron to produce what is sure to become one of my picks for 2011. Finders Keepers fans, avid Trunk collectors, horror nerds and even Emeralds aficionados - you all need to check 'Deep Politics' immediately, trust me you will not be disappointed.